The practice of social work actively seeks out and develops peoples' capacities by reaching for strengths in individuals, families, organizations, communities, and society as a whole. Social work rests on the firm belief that all people are of equal value and that every person possesses the capacity to face challenges and to grow and change. People experience "problems in living" when life presents them with challenges of an historical, institutional, interpersonal, or intrapersonal nature. The social work profession has always been in the forefront of promoting positive social change in the broader societal context, empowering our most vulnerable citizens and championing the rights of people with disabilities. In parts 1, 2 and 3, learn about the impact of trauma on our youth. Dr. Deborah Stewart shares her professional experience in Los Angeles and Sacramento working with at risk youth. She is a nationally known expert in this field. This information is difficult to hear and some of it may hit close to home. Dr. Stewart’s discussion includes an introduction to children, trauma and loss, enhancing resilience, trauma informed practices and planning for the future. In part 4, Ms. Scowsmith provides background on childhood trauma and interesting statistics. She discusses trauma informed care and using a trauma informed approach. Individualized treatment plans work best because there is no type of treatment that works best for everyone. Transgender individuals face barriers when trying to access healthcare services. Those barriers are described during this presentation. 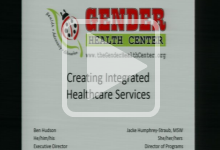 As a possible solution to this problem, Mr. Hudson and Ms. Humphrey-Straub use a case study of the Gender Health Center, located in Sacramento. This organization represents a grassroots effort to create a healthcare model that addresses the needs of transgender individuals. The Center provides mental health counseling, peer support groups, advocacy, a legal clinic, a hormone prescription clinic, a respite program, and training and education. Four social workers talk about different career options in the field of social work. Nancy Joyce works in an agency that focuses on teenagers/children and their families. Dan Taylor describes his experiences as a social worker in a county psychiatric facility. Chelsea Cornell is a social worker with Butte County Children’s Protective Services. This forum is facilitated by Andrea Rioux, Bachelor’s in Social Work Field Coordinator for the CSU, Chico School of Social Work. Ms. Rioux also talks about her work as a medical social worker and offers tips to social work students to prepare for a job interview.